This section is from the book "The New Metal Worker Pattern Book", by George Watson Kittredge. Also available from Amazon: The new metal worker pattern book. For a definition of the ellipse the reader is referred to Chapter I (Terms And Definitions), definitions 78 and 113. It may also be i described as a curve drawn with a constantly increasing or diminishing radius, or as similar to a circle, but having one diameter longer than another, the diameters referred to being at right angles to each other. If, upon one of two lines intersecting each other at right angles, half of the long diameter be set off each way from their intersection (A A, Fig. 206) and upon the other line half of the short diameter be set off each way from the intersection (B B, Fig. 206), four principal points in the circumference of the ellipse will thus be established; and through these four points only one perfect ellipse can be drawn, one-quarter of which is shown by the solid line from A to B in the illustration. It is true that other curves having the appearance of an ellipse can be drawn through these points, as shown by the dotted lines, but, as stated above, there is only one curved line existing between those points which can be correctly termed an ellipse. There are several methods of producing a correct ellipse, as by a string and pencil, by a trammel constructed for the purpose and by projection from an oblique section of a cylinder or of a cone, each of which will be considered in turn. The ellipse is properly generated from two points upon its major axis, called the foci, and its circumference is so drawn that if from any point therein two lines be drawn to the two foci, their sum shall be equal to the sum of two lines drawn from any other point in the circumference to the foci. Fig. 206. - Defining an Ellipse. 65. To Draw an Ellipse to Specified Dimensions with a String and Pencil. - In Fig. 207, let it be required to draw an ellipse, the length of which shall be equal to the line A B, and the width of which shall be equal to the line D C. Lay off A B and D C at right angles to each other,.intersecting at their middle points, as shown at E. Set the compasses to one-half the length of the required figure, as A E, and from either D or C as center, strike an arc, cutting A B in the points F and G. These points, F and G, then are the two foci, into which drive pins, as shown. Drive a third pin at C. Then pass the string around the three points F, G and C and tie it. Remove the pin C and substituting for it a pencil, pass the same around, as shown at P, keeping the string taut. If the combined lengths from F and G to the several points in the boundary line be set off upon a straight line, their sums will be found equal. For example, the sums of P F and P G, A F and A G, C F and C G, B F and B G, are all the same. Although correct so far as theory is concerned, this method is liable to error on account of the stretching of the string. The same result can be obtained by means of a trammel constructed for the purpose, which is shown in Fig. 208. E is a section through the arms, showing the groove in which the heads of the bolts move. H and G are the bolts or pins by which the movement is controlled and regulated. In the engraving the bar K is shown with holes at fixed distances, through which the governing pins are passed. An improvement upon this plan of construction consists of a device that will clamp the pins firmly to the bar at any point, thus providing for an adjustment of the most minute variations. Fig. 207. - To Draw an Ellipse by Means of a String and Pencil. 66. 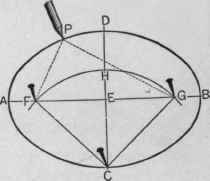 To Draw an Ellipse to Given Dimensions by Means of a Trammel. - In Fig. 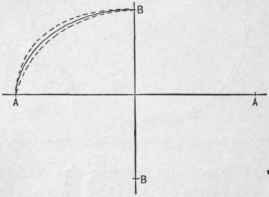 208, let it be required to describe an ellipse, the length of which shall be equal to A B and the breadth of which shall be C D. Draw A B and C D at right angles, intersecting at their middle points. Place the trammel, as shown in the engraving, so that the center of the arms shall come directly over the lines. First place the rod along the line A B, so that the pencil or point I shall coincide with either A or B. Then place the pin G directly over the intersection of A B and C D. Next place the rod along the line C D, bringing the pencil or point I to either C or D, and put the pin II over the intersection of A B and C D. The instrument is then ready for use, and the curve is described by the pencil I moved by the hand, and controlled by the pins working in the grooves. "When a trammel is not convenient, a very fair substitute is afforded by the use of a common steel square and a thin strip of wood, like a lath. This method of drawing an ellipse is useful under ordinary circumstances when only a part of the figure is required, as in the shape of the top of a window frame to which a cap is to be fitted, in which half of the figure would be employed, or in the shaping of a member of a molding in which a quarter, or less than a quarter, of the figure would be used. 67. To Draw an Ellipse of Given Dimensions by Means of a Square and a Strip of Wood. - In Fig. 209, set off the length of the figure, and at right angles to it, through its middle point, draw a line representing the width of the figure. Place a square, as shown by A E C, its inner edge corresponding to the lines. Lay the strip of wood as shown by F E, putting a pencil at the point F, corresponding to one end of the figure, and a pin at E, corresponding to the inner angle of the square. Then place the stick across the figure, as shown in Fig. 210, making the pencil, F, correspond with one side of the figure, and put a pin at G, corresponding with the inner angle of the square. 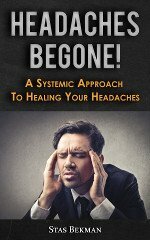 Now move the stick from one position to the other, letting the points E and G slide, one against the tongue and the other against the blade of the square. The pencil point will then describe the required curve. In drawing the figure the square must be changed in position for each quarter of the curve. As shown in the engravings, it is correct for the quarter of the curve represented by F D, Fig. 209. It must be changed for each of the other sections, its inner edge being brought against the lines each time, as shown.